View More In Clogs & Mules. 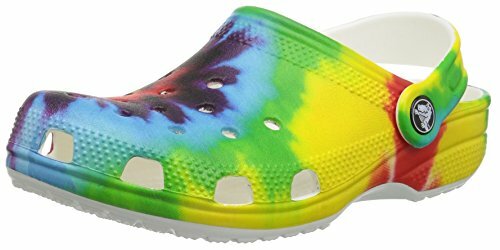 Timeless, fun and full of peaceful good vibes, the bright pops of tie-dye graphics on these clogs are the perfect way to help your little one make a groovy style statement. Grounded in comfort, spiked with personality. From the playground to family outings, they’re ready to rock wherever the kids choose to roll.